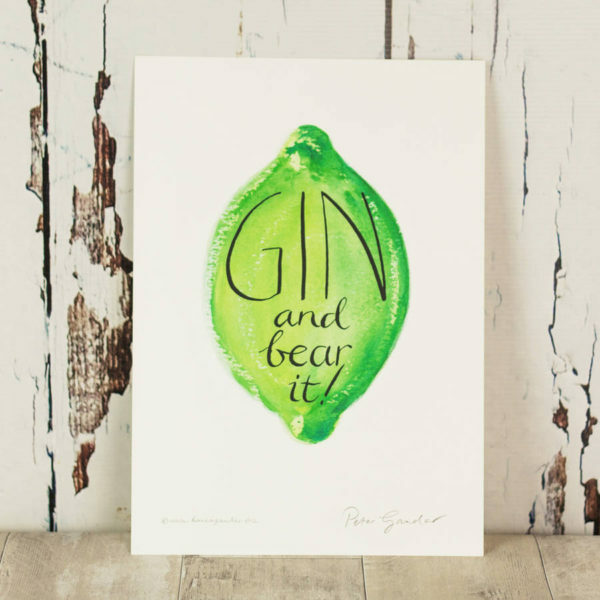 For those who like a cool glass of Hendricks or Sipsmiths, this typographic ‘gin and bear it’ print is a must have! 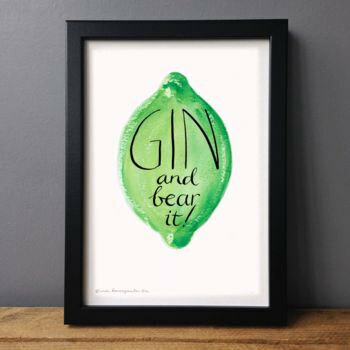 Perfect for the gin-lover who, like ‘The Good Life’s Margot after a hard day, couldn’t wait to crack open the ‘Mothers’ Ruin‘. 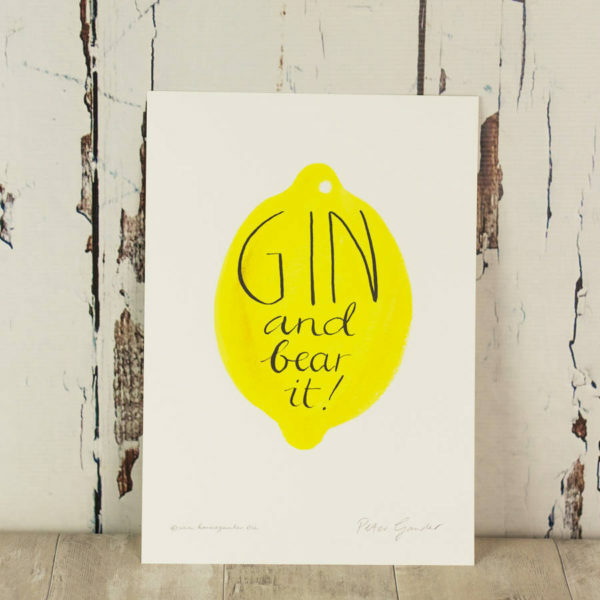 A plump fresh lemon bears the handsomely hand-written inky message. 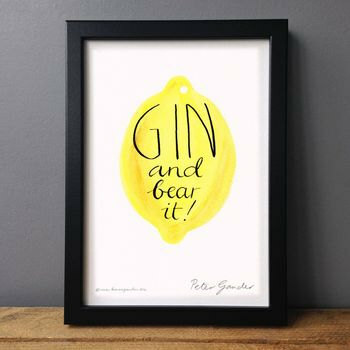 This is a colourful and fun print, perfect for the kitchen or dining room. This print is unframed, but easily fits an off the shelf A4 frame. Originally hand-drawn by Peter Gander and printed in Kent, on 300gsm Callisto pearl card.